Learning cannot only be done at school. In fact, it can also be done at home as well. All that you need to do is to have an idea on what science crafts you can do with your children. For sure, it would also be a great form of family bonding, which would strengthen your relationship with them as they learn. 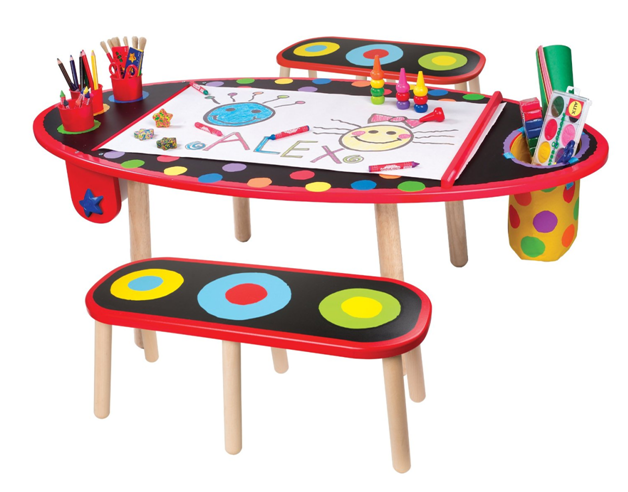 Of course, buying a baby musical instruments from Tiny Tiny Shop Shop ora kids art table would also help unleash the creativity within them. An egg typically sinks at the bottom if you drop it in a glass of water. However, the results would be different if salt is added in this simple yet fun experiment. All you have to do is to get a glass and fill half of it with water. Then, pour lots of salt and afterwards, pour water until it is nearly full but make sure not to disturb the mixture of water and salt at the bottom. Then, gently place the egg and allow your kids to witness some kind of magic right in front of them. To start with this one, prepare all the materials including food coloring, water bleach and two plastic cups(clear) and organize them on your kids art table. Allow your kids to choose the color that they want. In one plastic cup, pour water of about three-quarters of it then add a few drops of the food coloring that your kids have selected. Mix it thoroughly. On the other plastic cup, pour some water of about one-quarter of it and add some bleach on it. Now, ask your child to slowly pour the water and bleach mixture to the water and food coloring mixture. Your kids would surely be curious to know how the water became clear again and helps promote arts and crafts for toddlers. Also, this experiment needs to be done under the supervision of adults in order to prevent the kids from drinking it. Who said that sunscreen could only be used for protecting our skin from the harmful rays of the sun? You can also use it for your kids to learn something valuable. You need to prepare a black construction paper and a sunscreen, even the one that you are no longer using. Pour some sunscreen on the construction paper and then ask your child to smear it but don’t let him/her smear it on the entire paper. Afterwards, place it outside or somewhere where there is direct sunlight. After a few hours leaving it like that, bring your child with you and observe how the areas in the construction paper where the sunscreen was not applied on fades. See? There are a lot of science crafts that you can do on your art table. Therefore, don’t limit your child’s learning potential. Allow him/her to do something that would be beneficial for their growth and development. Let their imagination run wild as you allow them to learn even at the convenience of your own home through buying art crafts and ride on toys for kids from Tiny Tiny Shop Shop.